I love notebooks. Particularly journals. 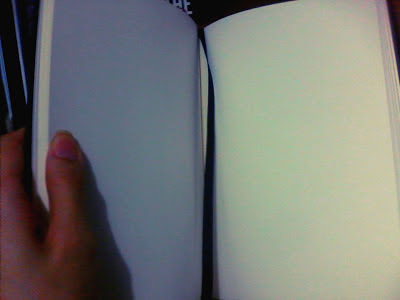 And more specifically, ones with nice, simple hardbound covers and plain, unruled pages. And they can't be too small or too big or too thin. I've already used up the last few pages of my previous journal so today, under a tight budget, I went to the nearby National Bookstore and went journal-hunting. Now this is challenging for me because my budget was P150. And usually, the journals with hardbound covers and blank pages are relatively expensive. I could wait til I have extra cash but for the past week my insides have been twitching and my mental processes are going on overdrive because I didn't have an outlet for my ideas, feelings, and musings. Journalizing is therapy for me. And I couldn't take not writing for one more day. I scoured the notebook and journal aisles, scrutinizing cover designs, checking one journal price against the other, debating whether I should settle for the lined pages against the lovely blank ones or not, and checking if the number of pages is worth its price. I have dozens of journals at home (I've started keeping a journal since I was grade school) so I already have written on many types of journals and now I think I have an idea of what a perfect one would be. Call me nuts but I think moleskin journals are vastly overrated. Finally, I stumbled upon stacks of Yeah Notebooks. And there, in the very bottom shelf, tucked away in the corner, was the only journal with blank pages among the stock. It was the right size. It was hardbound. With a cute cover design. It was within my budget. It felt like an Indian summer in the middle of winter (thanks, Katy Perry). I take this as a good sign of the great and awesome things that will happen this year. So my goal for the next coming months is to stock up on more journals. Seriously, when I'm not journalizing, I need notebooks for doodles, drafts, lyrics, bad poems, and lists. 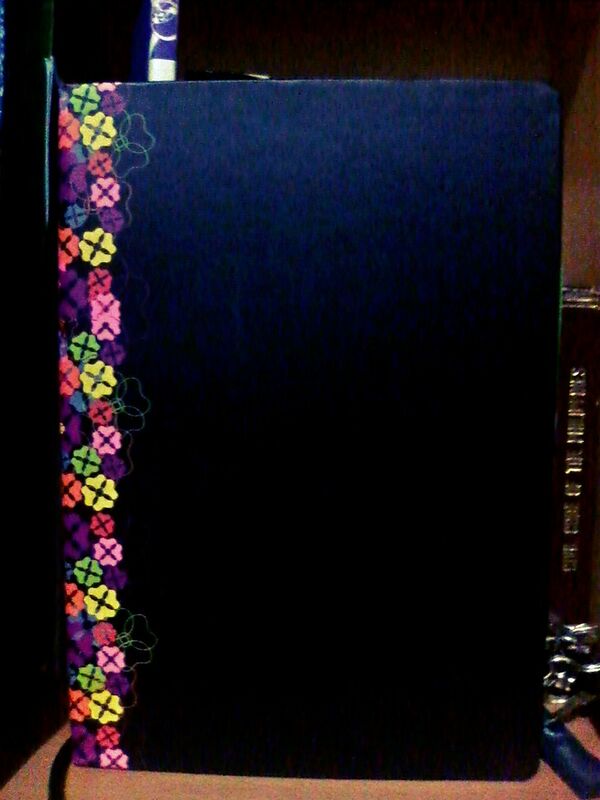 I have this odd obsession of buying notebooks even though I still have new ones lying around. I should really control myself. Papers are made from trees, after all. I should be more conscious.